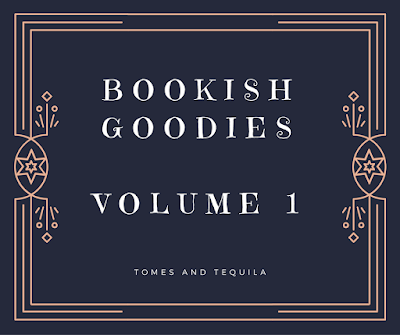 So, as a book lover and all around literary FIEND I spend a lot of my spare time time perusing Etsy and other online shops for super cool gift ideas...mainly that I want people to buy for me, if I'm being totally honest with you. I mean, who doesn't want a pillow shaped like Jamie from Outlander...or a Harry Potter purse?? Anyway...I thought that in the giant commercial 3 month lead up to Christmas, I would start a regular gift buying guide to help my like-minded bookies (wait, that doesn't sound right?!?) start their shopping early! I think book journals are a wonderful item to have and use regularly. Speaking for myself, I know my retention isn't very good, but if I write about the book I've just read, it sticks longer. 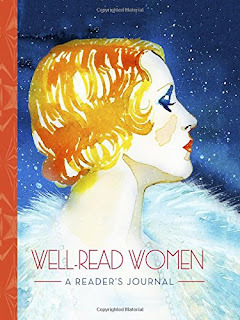 This beautifully illustrated reader's journal has a spot for plot notes, character notes, favorite quotes and your 1-5 star rating. You can find it on Uncommon Goods and Amazon for about $14.95. Pink is my signature color (Steel Magnolias anyone??) and I think this phone case is adorable. Ombre pink background, pink flower in a mason jar and a shelf of books...what's not to love? 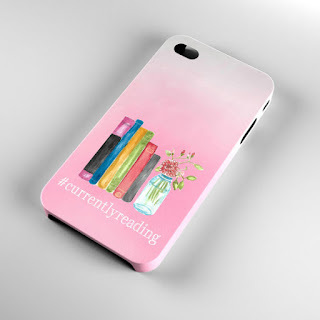 There are a lot of bookish cell phone cases, but right now this one is my favorite. You can find it on Etsy for $30.00. This package of 25 English Breakfast tea bags from Sri Lanka has classic literary quotes on each tea bag tag (Is there a technical term for that little tag? If so, I don't know it). Tea and literature have a well-known symbiotic relationship for a reason. 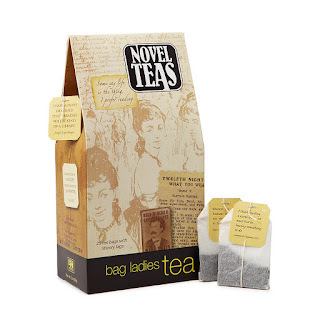 These little tea bags just elevated the relationship to goal status. You can find them on Uncommon Goods and Amazon for around $13-$16. I have one of these wreaths on the door to my office at the library, and I get complimented on it regularly! The one I have is made from French book pages, but you can find a plethora of different styles on Etsy....from children's books to sheet music. 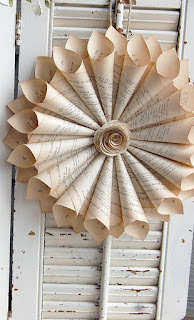 Just search for Book Page Wreaths and prepare to be blown away. This particular one goes for $27. I think this sweatshirt is adorable! 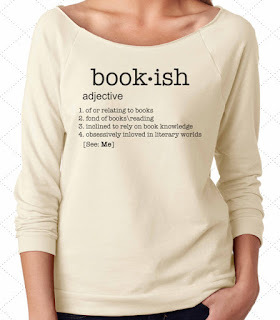 Geeked Out Threads on Etsy has numerous literary inspired clothing pieces. This one runs at $22-24 depending on the size and comes in grey or the pictured ivory color. The perfect top for weekend days spent under a cozy blanket sipping literary tea and reading the latest bestseller. PortmanteauPaperCo out of Grants Pass, Oregon has a huge selection of book covered matchboxes for about $3.00 each. I'm not sure why I love them so much, or what I would do with them if I had them, but I seriously covet these conversation piece match boxes. 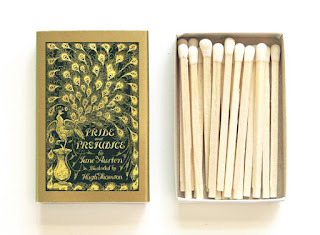 You can find the Pride and Prejudice one here. 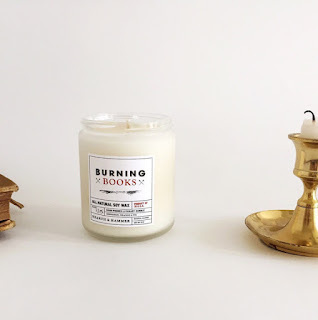 You can find a huge selection of book inspired candles on Etsy, but I really like the label design on this one from Hearth and Hammer. Burning books smells of cinnamon, orange and fir...which I think would smell phenomenal. This 8 oz candle goes for $18 over here. 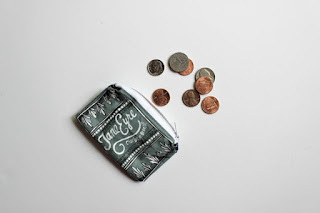 This cute Jane Eyre coin purse can be found for $20 in the Sweet Sequels Shop on Etsy, along with numerous other literary inspired coin purses, pillows and blankets. They have way too many cool items that I have favorited, but I'm a HUGE Jane Eyre fan so this particular piece called to me. 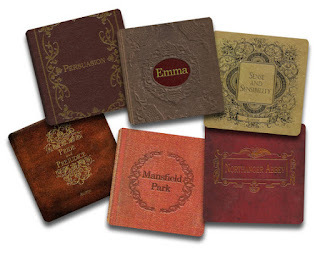 This Jane Austen coaster set can be found in the Neurons Not Included shop on Etsy for $22.50. I love the old school classic book style of this particular set. It perfectly matches my leather bound classics collection! This Oscar Wilde art print can be found in the Lily and Val shop on Etsy for $24-53 depending on the size. They have some beautiful hand drawn pieces, many being in the chalk art style. 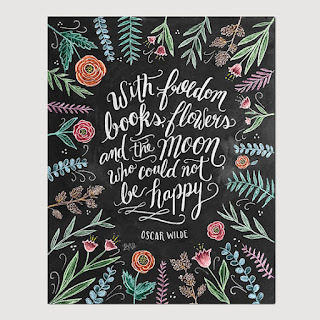 I love the script style, the beautiful flowers and one of Oscar Wilde's best literary quotes. 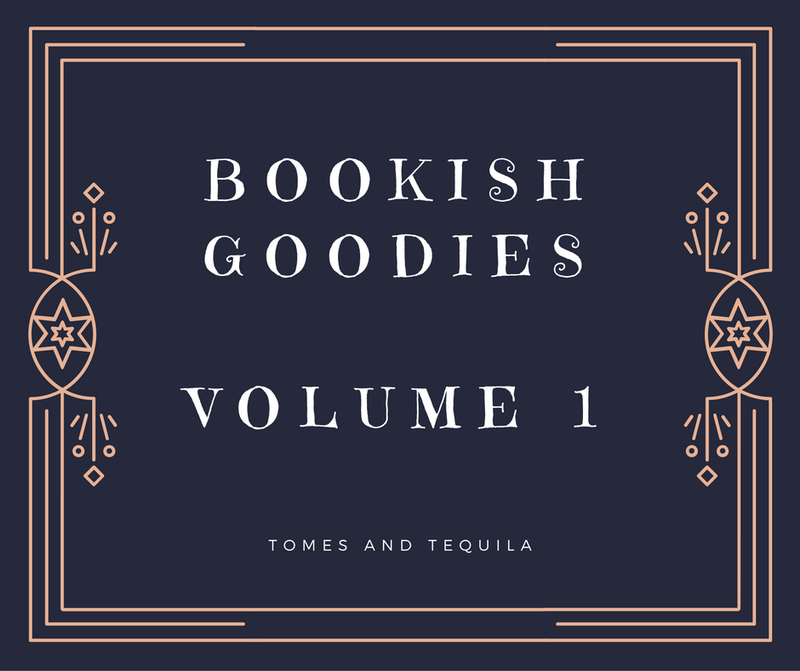 This first installment of my Bookish Goodies series is just a tiny smattering of the items on my GIGANTIC bookish wish list! Do you have any favorite unique bookish items I should know about?? 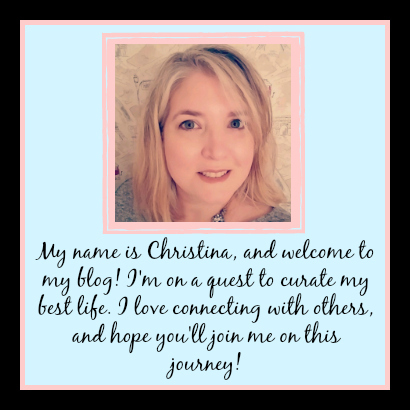 I hope you enjoyed my first curated list...and let me know what you think of my selections either in the comments here or over on my Facebook page!